Turnip facts, an information sheet for kids cooking activities. Turnip facts and general information about turnips. Plant a seed and turnips grow as a root vegetable just like carrots do. Turnips should be firm with no blemishes the smaller the sweeter. 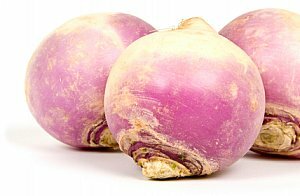 Turnips have white skin with purple tops. Store in plastic bags in refrigerator crisper drawer. 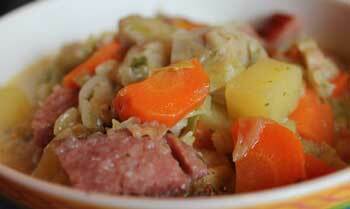 Mashed, cut up in soups or side dishes. Turnips are high in fiber, Vitamin C, Calcium and Potassium. Stir ingredients together and toss to coat. Place in crock pot. Cook in crock pot on low 8-10 hours or high 4-6 hours. Kids love raw turnip...Read on. Kids love raw turnip. I am an elementary school teacher. Last week my Kindergarten class loved the opportunity to eat turnip chunks, watch each other like 'scientists', and then vote if they thought their classmates enjoyed or disliked it. My students were reminded to eat silently and watch each other like 'scientists'. I told my students not to say "Mmmm",or "yuck" because it would ruin the game. Only one child didn't like the turnip out of 14 students. I have done this activity before with older students in grade 1 and 2 and the results were the same. Afterwards I read, The Enormous Turnip, a shorter version than the original. My co-workers thought I was crazy but that's fine. Funny thing is I hated turnip as a kid. It was always boiled to death and bitter. I put it on my brother's plate and even between the nook and the wall to avoid it. Now I love turnip cooked, and uncooked. Dice the turnip and lettuce. Mix all the ingredients in a salad bowl and add you favorite Dressing. ENJOY! Back to Food Facts from Turnip Facts.